Les Paul was inducted into the Rock and Roll Hall of Fame in 1988. You can't talk guitars without Les Paul. Click here to find all materials relating to Les Paul in our online catalog. These are sound recordings of Les Paul available at the Library and Archives. This is a video recording with Les Paul available at the Library and Archives. 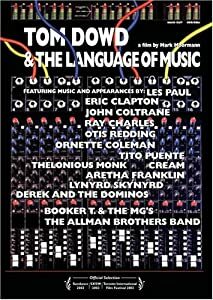 These are video recordings created by the Rock and Roll Hall of Fame and Museum's Education Department for the 2008 American Music Masters celebrations honoring Les Paul. These videos are only available at the Library and Archives. American Music Masters. Les Paul. Henry Juszkiewicz lecture. Ace Frehley interview. Part 1. American Music Masters. Les Paul. Henry Juszkiewicz lecture. Ace Frehley interview. Part 2. In Part 1 of this video, CEO and Chairman of Gibson Guitar Corporation Henry Juszkiewicz discusses the genesis and basic history of the Gibson Guitar Corporation, Orville Gibson, and Les Paul's contributions as an innovator. In Part 2, Ace Frehley discusses using Gibson guitars, and is joined by Juszkiewicz near the end of the program. This video is from the Rock Hall YouTube channel. 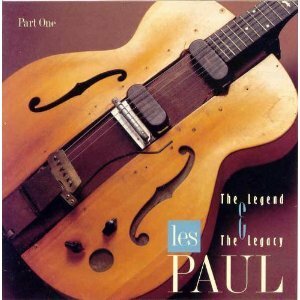 Les Paul & Mary Ford Show: World Is Waiting For The Sunrise Les Paul - Chasing Sound! Archival collections are described in Finding Aids that provide you with historical and organizational information on a collection, subject headings that tie it to other library and archival materials, and an inventory to pinpoint what you need. The detail of inventories vary. Search finding aids via the catalog. Consists of two compact discs of images from one of Paul's last live concerts at the Iridium Jazz Club in New York City on March 25, 2009, where Paul played nearly every week almost up to the end of his life. Consists of one DVD containing a 62-minute interview with Les Paul on The Joey Reynolds Show, a nationally syndicated radio program hosted by former Top 40 radio personality Joey Reynolds. The footage was photographed and edited by Sandi Bachom. Spans the years 1925 to 2008. Comprised of material related to the lives, careers, invention, and artistry of Les Paul and Mary Ford. The bulk of the collection consists of publicity materials, including advertisements; newspaper and magazine clippings; newsletters and dailies; handbills; press kits; press releases; and programs. The Papers also contain academic papers on Paul, biographical information, brochures, catalogs, chord sheets, contracts, copyright documents, correspondence, hit charts, lyrics, music arrangements and manuscripts, Paul's passport, photographs, publications, record covers, recording notes, royalty reports, scrapbooks, scripts, set lists, sheet music, stage design drawings, and miscellaneous materials.